Discussion in 'Marketplace archive (read-only)' started by michaelmoz, Apr 2, 2014. I have an XL ringer of a Maladjusted Tour shirt. 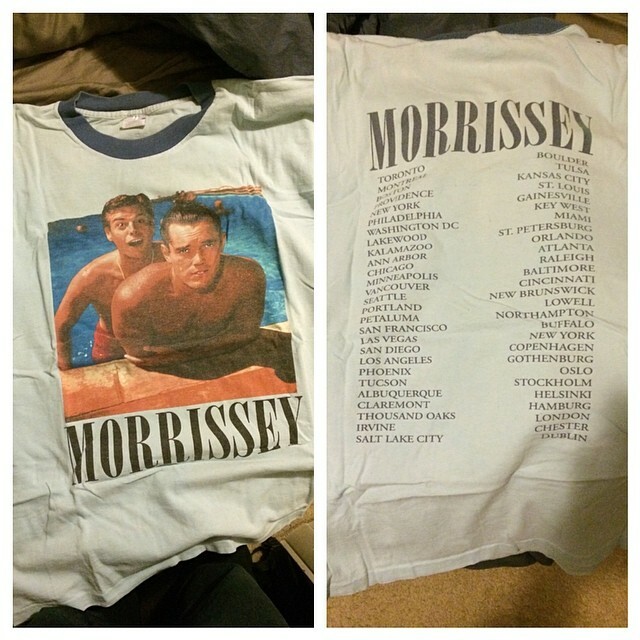 I'm looking to trade this one for a Large, or any other Morrissey shirts in Larges - specifically, any Kill Uncle or Your Arsenal tour shirts. Would you be interested in selling instead? Nah I'm only looking to trade for other shirts.